Visit us at our beautiful clinic! In the popular series White Collar, Peter asks Mozzie why he picked ‘the dentist’ as a code name. Mozzie says, ‘I was 12. A dentist was the scariest thing I could think of.’ For many of us, this rings true, even in adulthood. The world’s most common phobias are dentists, spiders, and clowns. It’s not clear how this fear started. It might be because the average patient doesn’t get appointments unless it’s an emergency. Meaning the most frequent visitors to our dental clinic in Parramatta are here for root canals, extractions, or impaction. This happens with little kids too, and it often inspires a life-long fear. It doesn’t help that dental tools are commonly (and unfairly) filmed as horror tropes. In reality, dentists are pretty friendly, and thanks to modern technology, your visit can be completely painless. But before we can prove it to you, you must get over your fear and come by. We’d like to help you do that, and it all begins in your mind. As you know, once someone gets an idea in their head, it can be hard to change it. Especially when so many people around them share their terror. Plus, dentists aren’t like paediatricians. We don’t generally give you lollipops after your visit – it’s a tad counter-intuitive, and can easily undo the work we’ve just done. If anything, we’ll be telling you to stay away from your favourite treats. So, how can we help you get over this unfounded fear? We’ll start by addressing specific triggers. A common treatment for phobias and trauma is exposure therapy. You’re assisted to ‘face your fear’ for a limited time, under supervision, and in a certified safe space. For us, exposure can be achieved by following the recommended dental guidelines. Visit your dentist twice a year. It’s just a check-up, and probably a tooth cleaning. During these check-ups, we’ll remove plaque, which is painless. And because you see us twice a year, we’ll spot potential problems before they start giving you pain. As a result, your brain will get used to the idea that dental appointments don’t have to be painful or scary. And by cleaning your interstitials, we reduce the chances for cavities and infections. Ergo, fewer toothaches. Still, on the occasions where you do need potentially painful treatment, modern dentistry has a come a long way in pain management. We can offer you sleep dentistry. It’s a mild sedative that makes you mellow and slightly amnesiac, so you’ll feel more relaxed, and you’ll forget any unpleasant parts of the procedure. But you’ll stay awake, so it avoids the potential side effects of knock-out meds. Also, we now have laser dentistry for soft tissue treatments. This is helpful for root canals, impactions, and gum treatments. It doesn’t hurt as much as dental drills, and it heals a lot faster. 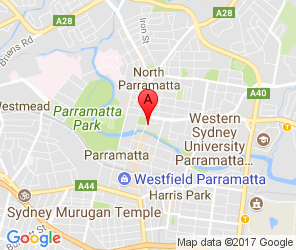 Finally, when you visit our Parramatta dentist in particular, you’ll be surrounded by highly skilled, super-friendly staff to put you at ease. So give us a call today, and we’ll show you there’s nothing to fear and brighter smiles to gain. To find the kind of dentist you don’t have to be afraid of, call Dental Avenue Parramatta today on 1300 315 540.